In an instant we now have a bit of art. Not just a pair of socks airing on a fence before a hockey tournament, but a artistic picture that captures the moment. By just changing the photo to black and white. Then bumping up the contrast a bit, and reframing it, you now you have a conversation starter. Maybe not everyone’s cup of tea, but it make me stop and look. This would not look out of place in a place of work where sport is celebrated, or a sports or social club. You never know where you will see something that could be art, as art everywhere you look, but you just need to look hard enough. 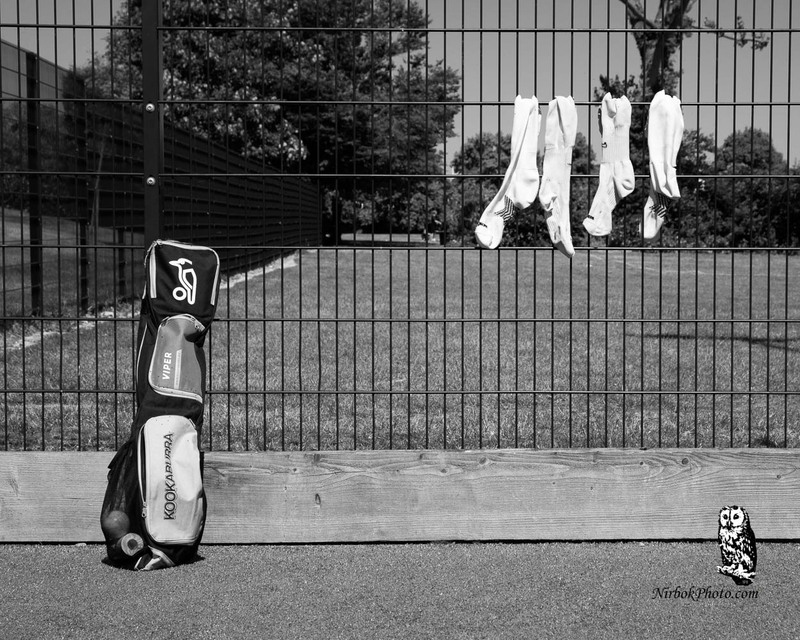 Here Socks and a hockey bag against the fence make and interesting black and white photo, don’t you think? Follow us on facebook or twitter to see more photos, and read about events and activities I have taken photos of.